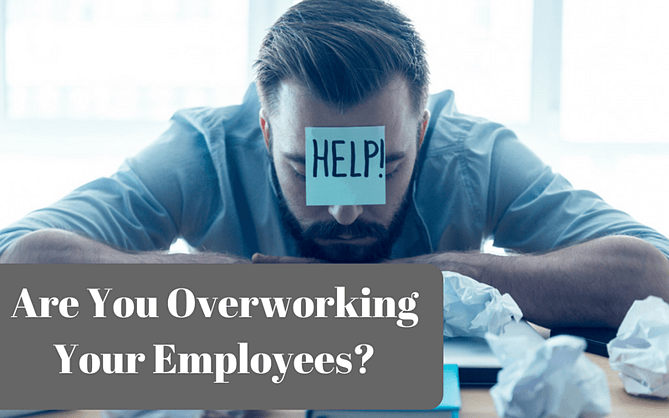 Are You Overworking Your Employees? When you last strolled around your workplace, did you notice any difference in the environment? Did you get a sense that your employees felt stressed-out (or more so than usual)? Were people less friendly than in the past? Was some sort of “siege mentality vibe” present in the air? Having an overworked or burned-out workforce comes with risks no business owner can afford to ignore. Above and beyond the problems this can cause a business internally, there’s also the possibility that overworked employees can lead to the manufacture of inferior products and services, as well as growing customer dissatisfaction with your business. That’s why it’s so important to notice “red flags” suggesting overworked employees and take action before any serious damage occurs. 1. A change in attitude and engagement. You know who your most upbeat and positive employees are. 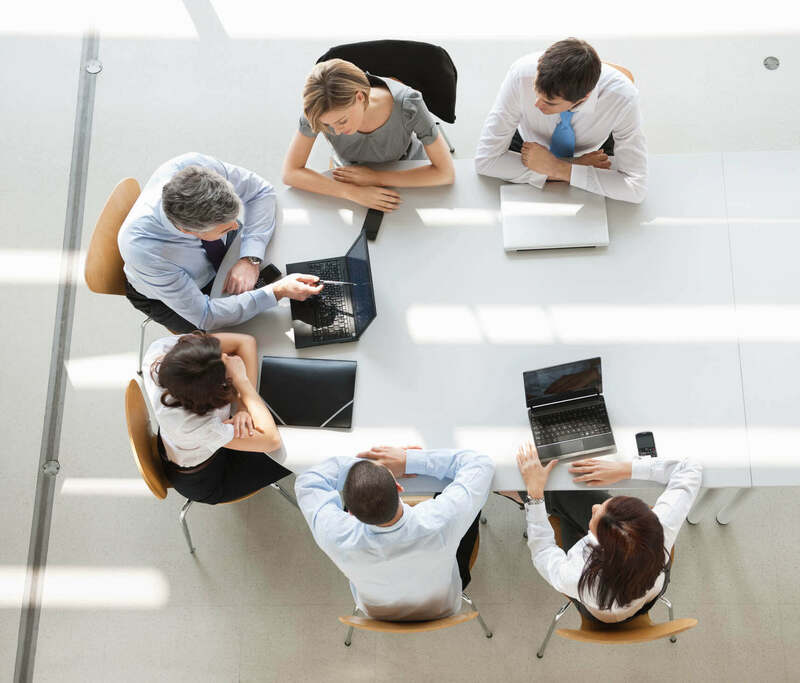 If these hard-working individuals exhibit signs of burnout, don’t pretend that all is OK. Look for employees who eagerly participate in meetings, but now sit back, arms crossed and remain silent throughout the discussion. In the same respect, pay attention when employees who are known for never complaining about work conditions begin to grumble about “always feeling behind” or “never having enough time” to get their work done. Of course, some of these individuals may never speak up, but if you get the feeling they’re avoiding you (because they don’t want to get stuck with more work assignments), that’s another clear warning sign of trouble ahead. 2. Employees are working longer hours. Let’s assume for the moment that business owners are generally the first ones in the office each day and the last to leave. Have you noticed that some employees are already at their desk when you walk in the door or that some are still at their desk when you’re getting ready to leave? This is a clear indicator people are putting in hours well above a “normal” 40-hour workweek—yet another indication of looming employee burnout. 3. Absenteeism rates increase. Sometimes employees send the message they’re feeling overworked by simply taking more days off than usual. Often, there’s a good reason they’ve decided to stay home; workplace stress is causing them to lose sleep, eat poorly and experience more anxiety than they can handle. 4. Employees are leaving your business. High turnover may be the most clear-cut sign of employee burnout. If you feel you have good managers in place, then it’s time to look at burnout as a key reason for a mass employee exodus. What can you do to combat these alarming trends? 5. Find out what’s going on. Invite employees to talk to you about their working conditions. If they’re reluctant to discuss the situation, “ask questions that allow him or her to bring up the possibility of burnout,” advises business writer Katie Douthwaite Wolf. “Try: ‘What do you have on your plate right now—and if you had the choice, how would you change it?’” Let them know you want an honest appraisal of their workload, so you can work together to address the problem. 6. Assist with prioritizing job duties. Employees who feel overwhelmed may need assistance in prioritizing all the assignments they face. As part of your discussion, encourage them to openly discuss everything on their plate and then collaborate on creating a reasonable schedule for achieving the most important tasks first, and everything else later. Make clear that, as far as you’re concerned, doing the best job they can is more important than trying to do everything and having little to show for it. 7. Encourage (and model) a healthy balance of work and life. An effective leader always advocates for a healthy work-life balance for their employees. “As long as they are getting results, don’t balk if they leave early to hit the gym,” says workplace expert Alexandra Levit. Also, remember that employees look to you as a model of proper workplace conduct. There’s no question that entrepreneurs and CEOs are challenged to find the right balance between their businesses and their health and personal lives. But making this a top priority in your own life sends the message that you want employees to do the same themselves—thus, promoting better health and reducing stress and burnout on the job. Do you believe employees are among your company’s most important resources? If so, do everything in your power to keep them from succumbing to burnout.